Loreto Day School was founded on the 10th of January 1956 by S.M. Gertrude O'Keefe. This School is a Catholic Institution under the management of the Sisters of the Institute of The Blessed Virgin Mary (Loreto Sisters), which was founded by Mary Ward in the 17th century, who recognized the significance of education for women and the important role they play in society. 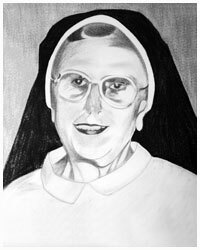 10th January'1956 : The school was founded by S.M.Gertrude O'Keefe (1st Principal). The school started with 190 pupils. 1962 - The then Chief Minister Dr. Bidhan Chandra Roy visited the school and addressed the students. Evening study classes were started. 1979 - The new Junior School building was occupied. 1981 - Silver jubilee celebration started from 25th Sept of that year. Past pupils reunion was started. 1984 - Christmas Tree Programme for all catholic children was initiated from this year. The school acquired the 1st place in Basket ball at the state level championship. 1986 - Inauguration of Open School. 1994 - JPIC was initiated under Sr. Mary, the then Principal. 1995 - LTS group was organized. They attended their first inter school LTS Day. 1997 - Roshni school was opened to impart non-formal education to poor children of the locality under the guidance of Sr. Shalini. 2002 - ISC section was opened. We started with the Humanities section with 50 students. 2006 - Golden jubilee Celebrations- 50 years of our school. School give-over time changed to 1:55p.m. Extension of our school building on the primary school premises. 2011 - The school compounds were re-laid. 2012 - The school website launched under Sr. Shalini Rozario. Sr. A. Nirmala took over as a Principal. 2013 - Commerce introduced at ISC level.